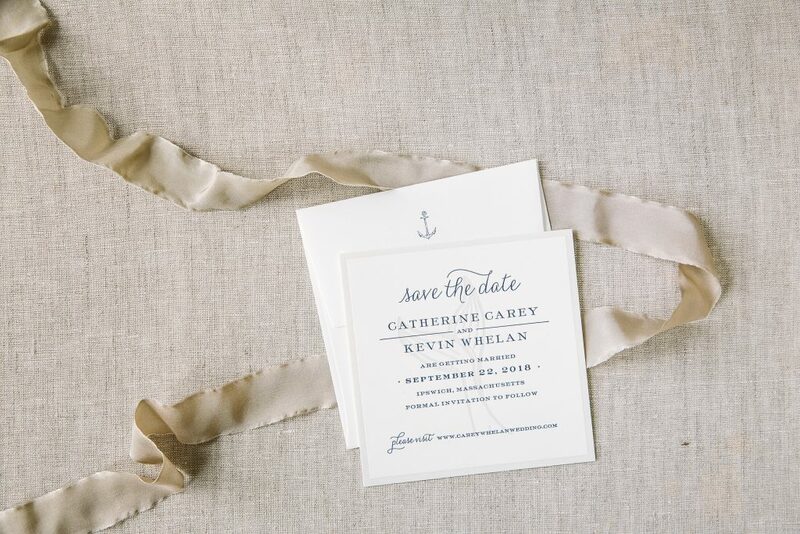 Our friends at Fete Collection helped us to create these nautical inspired letterpress save the dates. A Pale Gray letterpress motif subtly positioned in the background added dimension to a clean layout. Typography printed in Navy letterpress gave a nautical nod to the Massachusetts location. 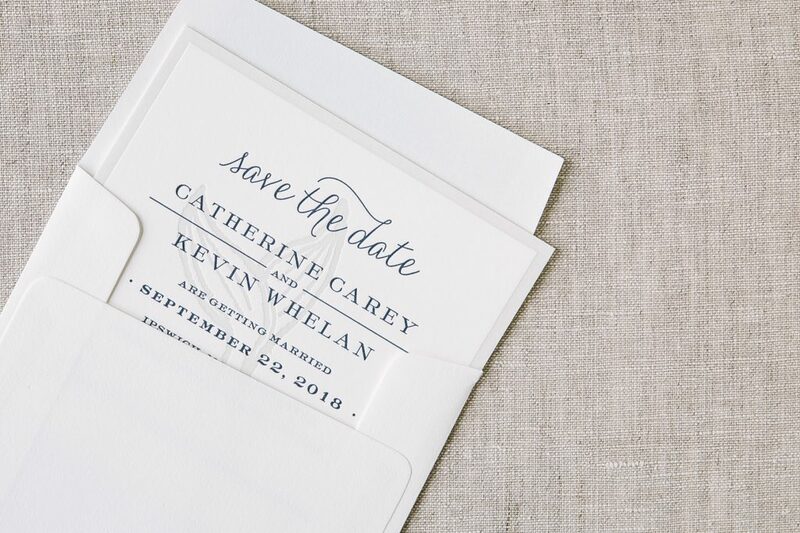 A letterpress border to match added a simple touch to a sweet save the date. Finally, an anchor on the reverse of the envelope gave guests a glimpse as to what they would find inside.